Winners of the NPN Holiday Gift Guide — and coupons for natural-minded shopping! 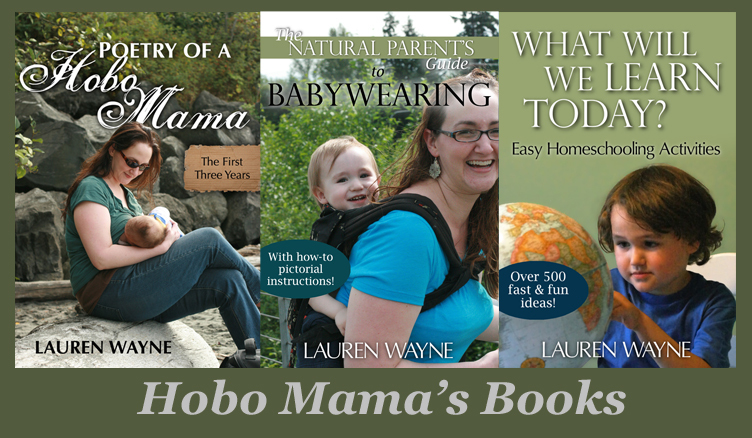 Congratulations to all of the Natural Parents Network Holiday Gift Guide Winners! For a unique heirloom gift that you will treasure for a lifetime, have Destany Fenton paint a portrait of your child or family. Be sure to like Destany Fenton Fine Art on Facebook! Help protect the environment with these beautifully functional glass straws. Be sure to like Glass Dharma on Facebook! BabyLegs: 75% off $75 Ho Ho Holiday Clearance Event! It's here, and just in time to stock up on stocking stuffers! The Ho Ho Holiday Clearance Event at BabyLegs! Take 75% OFF all styles on the Clearance page — as in, nearly your whole order for FREE! All you have to do is put $75 or more into your cart. Then pop in the discount code — WINTER75OFF — and your order will be only 1/4 of what it once was — $18.75 if you had exactly $75 to start with. Happy holidays! Free Shipping this weekend on all orders at Wild Dill. Do all of your holiday shopping from the comfort of your home. Enter code freeship at checkout for free shipping. Find the perfect organic and natural gifts for your little ones or the little ones on your list. Save, avoid the crowds and have fun shopping at www.wilddill.com! Today is the last day to order via FedEx 2-Day at Amy Adele. Enjoy the Express Shipping Sale through today: $9.95 to get your order by Christmas! Amy Adele offers personalized and charming stationery for kids, women, and families. The custom flat cards, folded cards, calling cards, thank-you notes, address labels, invitations, announcements, and stickers make wonderful gifts for little girls, teachers, hostesses, coaches, new parents, and more! FREE Christmas shipping at Tea Collection: today only! I cannot get enough of the children's clothes at Tea Collection. They're charming; they're modern; they're comfortable! And Tea is offering FREE SHIPPING in time for Christmas — TODAY only! Use code SLEIGHBELLS on Sunday, December 16, to get your items shipped free for the holiday. We love our Melissa & Doug natural toys and play sets: the pretend food, the dress-up clothes, the wooden puzzles, and other classic and educational playthings! Throughout the holidays, get FREE SHIPPING on ANY order at MelissaAndDoug.com with no minimum with code FREESHIPAFF. Additional 20% off at Shutterfly for photos & gifts! Save an additional 20% with code SAVE20 on all Shutterfly orders. Offer valid 12.15 & 12.16 only! This is a stackable coupon so is in addition to any sitewide sales on Saturday and Sunday! Stack the 20% coupon on top of the photo book sale at up to 50% off and create a truly memorable and personalized gift this holiday season. Order your Treat greeting cards now for Christmas delivery! Some of you haven't even looked for the perfect card yet. That's OK, because Treat has you covered. Go to the store and buy some cheesy greeting cards that has a chance of being the same card Aunt Ethel got Mom last year. Yikes! With Treat, you can create totally customized and personalized greeting cards (for more than just Christmas, by the way). You can upload photos, edit the font and text, and make each and every card unique to your personality and especially for your friends and family. I've personally bought a membership at Treat so I can send adorable (and discounted!) photo cards of the grandkids year round! LAST WEEKEND to order Tiny Prints holiday cards = plus 25% off any order! Sitewide sale at Tiny Prints: 25% off any order! Use the code DEC25 at checkout. It's also the last Sunday to get cards sent to you so that you can mail them to your recipients. And it's the last Sunday to order photo gifts and more without cutting it too close to Christmas. If orders are placed this weekend, you are guaranteed to get them by the end of the week, in plenty of time to write in them, sign them, and send them on their way before Christmas. When: Offer expires Sunday, 12/9/12, at 11:59 pm (PT). 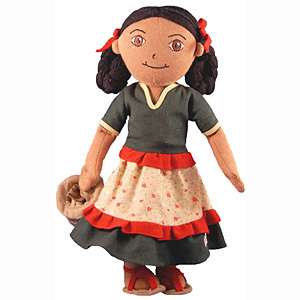 FREE shipping at Melissa & Doug for natural toys: Any order, no minimum! Excludes AK, HI and other non-contiguous locations. 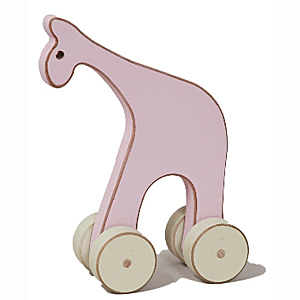 Buy as few or many fabulous wooden toys as you want, and enjoy free shipping all season long! 40% off extended for Club Smilebox monthly e-cards! 40% off Club Smilebox extended! The 40% discount on a Club Smilebox premium subscription is extended through Dec. 4. Smilebox is the ideal companion for creating and sharing custom-made holiday wonders — animated greetings, scrapbooks, photo books, photo collages, and more. And now through Tuesday, new subscribers can get a year of smiles for only $23.88 (regularly $39.99). Get 40% off an annual premium subscription to Club Smilebox. Extended through Dec. 4 only! Note: Valid for new subscribers only. 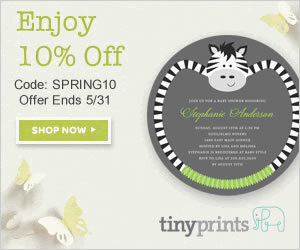 20% off Baby Signs plus FREE shipping! Baby Signs is having a Cyber Week Special! Get 20% off plus FREE shipping through this Monday, December 3, only on the original baby sign language program! Save up to 40% off baby gear and toys at Right Start during the Twelve Days of Christmas Daily Deals: December 2-13. Shop for car seats, strollers, safety items, feeding products, toys, and more! All sales will be posted on the Daily Deal landing page. Enjoy 25% off sitewide for Robeez adorable baby and children's shoes, this weekend only! What a perfect time to stock up for holiday gifts, new baby and baby shower presents, and just for the little feet pattering through your own home! 25% off at Tiny Prints: Custom photo holiday cards! Tiny Prints is offering 25% off sitewide: Get custom photo cards for your holiday greetings! If your family practices the Christian faith and is looking for a kid-friendly guided Advent resource, try out Truth in the Tinsel! This is "an Advent experience for little hands," because it offers a faith-based activity and Bible reading each day to reinforce the reason for the season and lead children into a celebration of Christmas and Jesus' birth. Spend December impressing God’s Word on your kids’ heart! You’ll get 24 days of Scripture reading, ornament crafts, talking points, and extension activities. Plus fun printables and templates! Truth in the Tinsel is only $7.99 as an ebook download — and now my readers can get 20% off just for being awesome! Enjoy free shipping on orders of $25 or more at Kelly's Closet as you shop for cloth diapers, diapering accessories, and baby gifts! Tiny Prints: Cyber Week deals on custom photo cards and more! Tiny Prints has a host of amazing holiday deals on custom photo cards for your Christmas greetings! Take 30% off any holiday card order with code cb12. Today only, take 30% Off Treat Card Club Packs with code CYBERTREAT. I love sending these custom photo greeting cards to surprise the grandparents throughout the year. They always bring a smile. Get BabyLegs for $4 a pair during the Cyber Monday Sale! No minimum purchase, and no coupon code needed. BabyLegs' adorable leg warmers, arm warmers, socks, and tights are perfect as gifts for new babies or the stylish little kids on your list. Robeez baby shoes: 25% off plus free shipping TODAY only! Wow! 25% off site-wide for Robeez adorable baby and children's shoes, plus FREE shipping — for TODAY, Cyber Monday, only! See code on main page of Robeez.com. Cyber Monday sale at umi shoes for babies and children! 30% off select styles from UMI! Use code LNKCM to redeem offer. 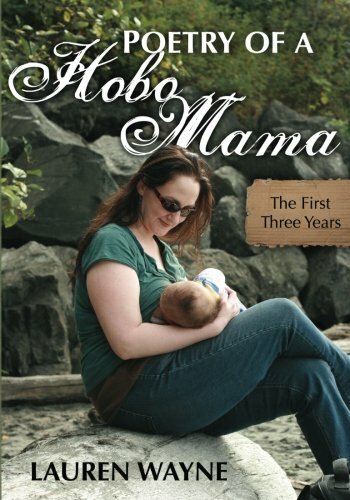 For more information, reviews, and excerpts, visit the Poetry of a Hobo Mama page. 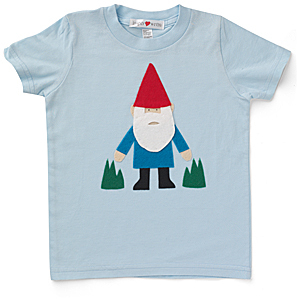 One of my favorite places to shop for children's clothes is Tea Collection. Starting Sunday, 11/25, at 9 p.m., through Tuesday, 11/27 at 12 p.m., Tea will offer an additional 25% off ALL sale items with code CYBER25. In addition to this Cyber Monday promotion, you can also shop $10 Tea Baby and prices as low as $15 when shopping the women's collection (no code required). Save 30% now through Monday off Eco Nuts Laundry Soap! Eco Nuts are a 100% natural and organic way to wash your cloth diapers and all your family's clothes! Safe, fragrance-free, strong, and perfect for all your daily laundry. Use Coupon Code BLACKFRIDAY at checkout on EcoNutsSoap.com. Eco Nuts are gentle on both clothes and skin and won't cause build-up on cloth diapers. Eco Nuts are a wild-harvested berry that produces a natural soap. They're an economical, practical, and eco-friendly choice for your laundry. Save 20% off EVERYTHING on the Shabby Apple site with code JOYFULSEASON at checkout. Yes, you read right, EVERYTHING! Shabby Apple offers retro-chic dresses with a modern flair — perfect to see you through the holiday season in style! to save 20% sitewide at Shabby Apple! 25% off sale items at Tea Collection + $10 baby clothes! One of my favorite places to shop for children's clothes is Tea Collection, and they have some great Cyber Monday deals! Starting TONIGHT, Sunday, 11/25, at 9 p.m., through Tuesday, 11/27 at 12 p.m., Tea will offer an additional 25% off ALL sale items with code CYBER25.